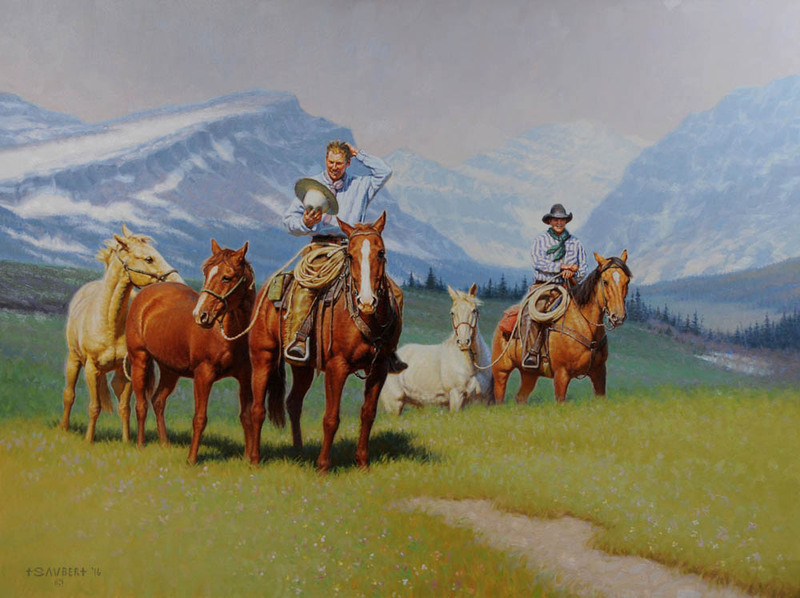 Welcome to the website of Tom Saubert, featuring fine art of the West. 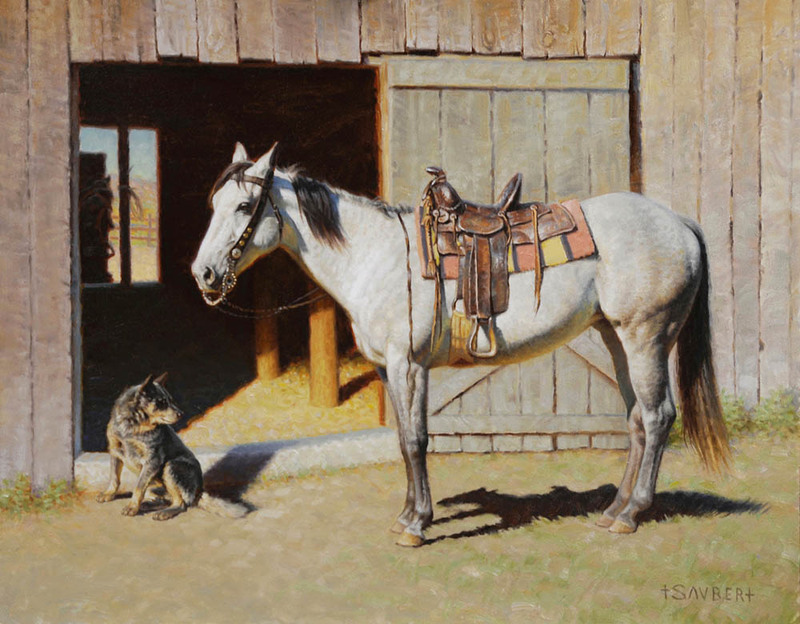 Learn about Tom, his studio, and many of the fine works of art he creates. Explore the gallery page to get a sample of Tom’s art style. 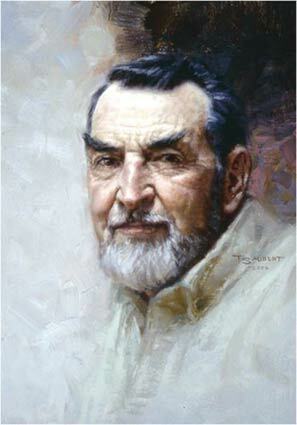 If you are interested in commissioning an original painting from Tom, visit the inquiries section. 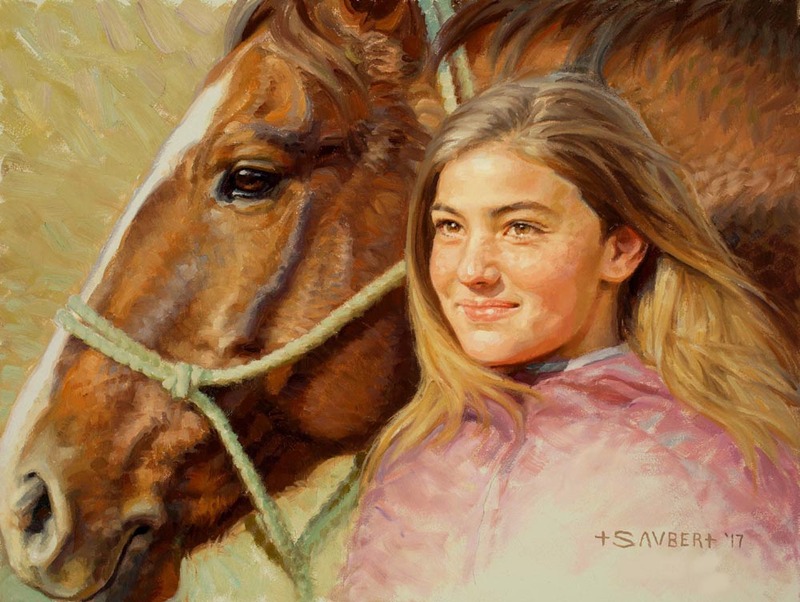 There, you will find contact information for arranging your artwork commission. 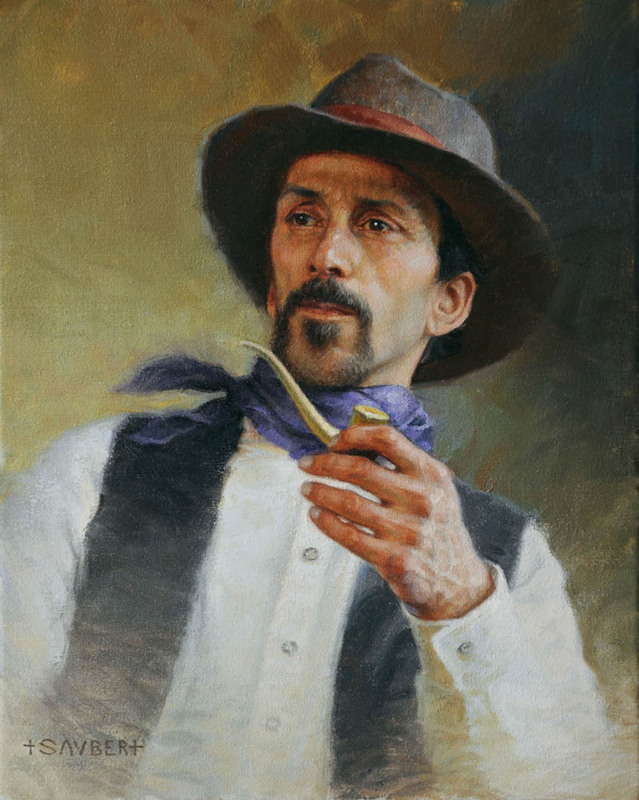 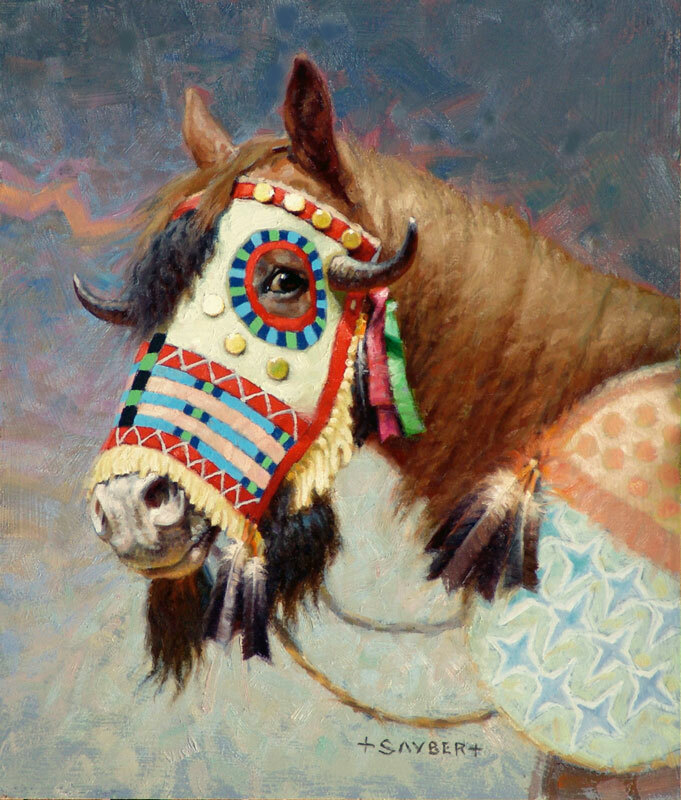 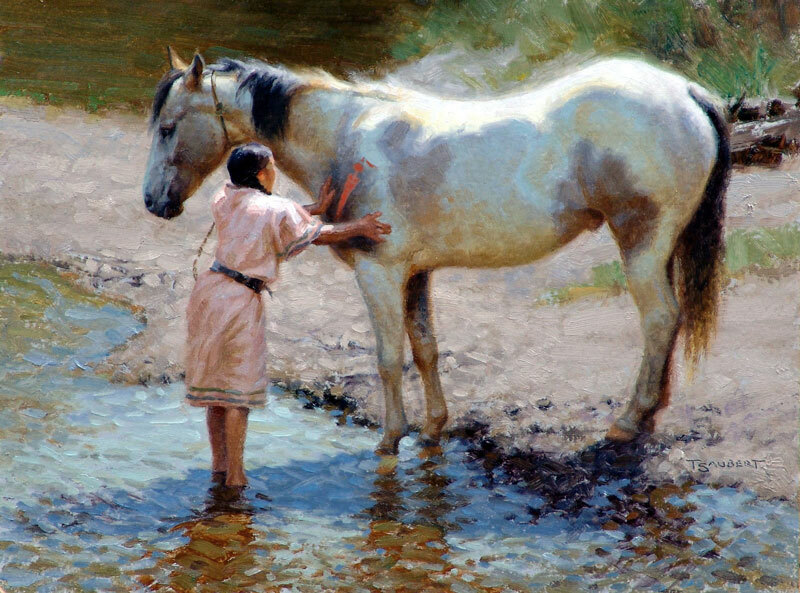 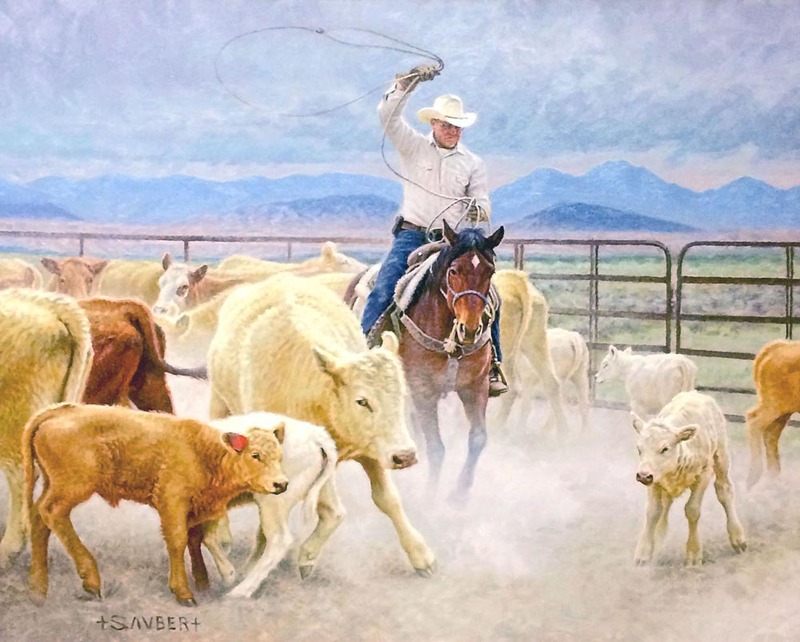 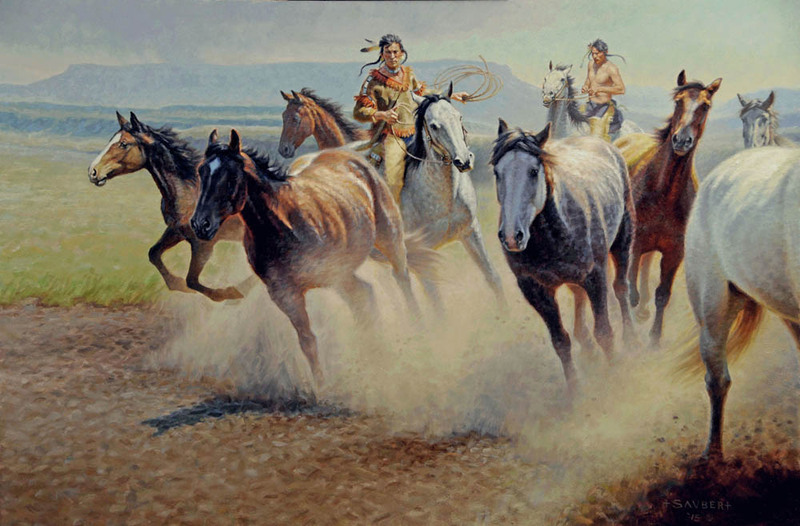 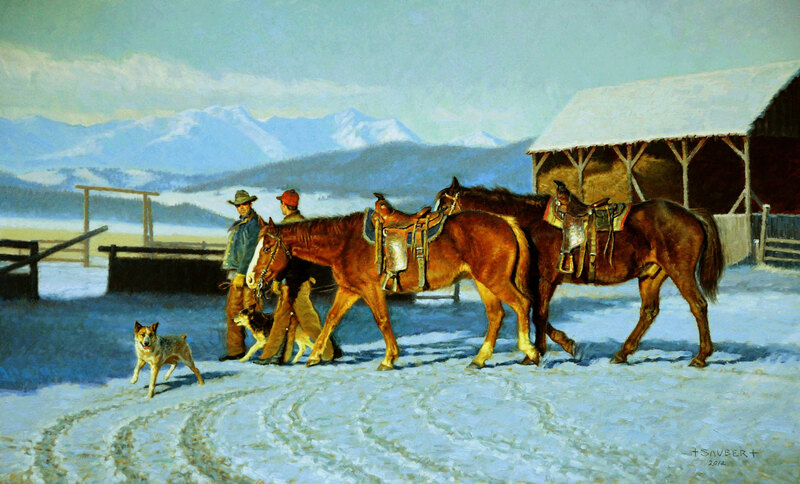 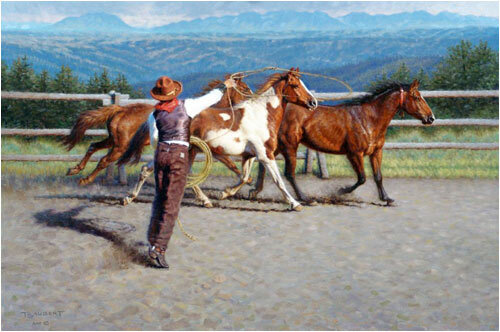 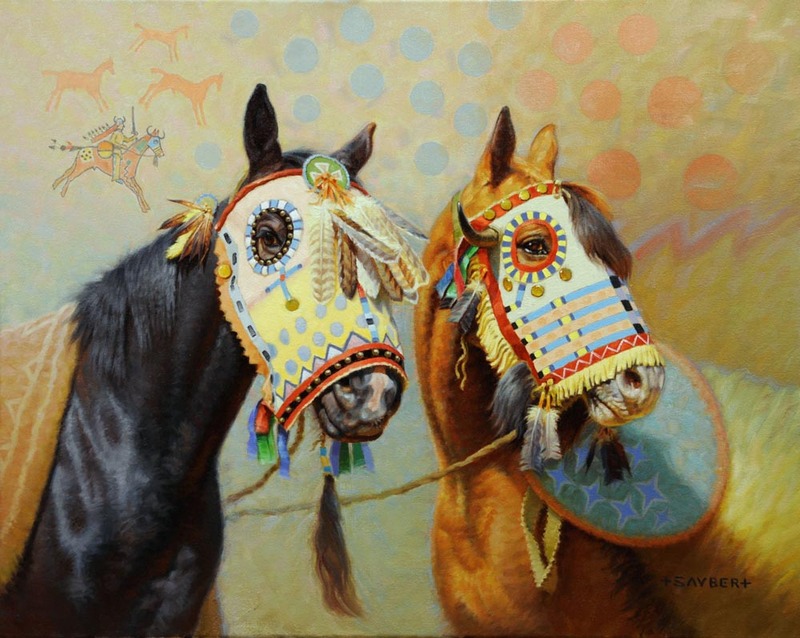 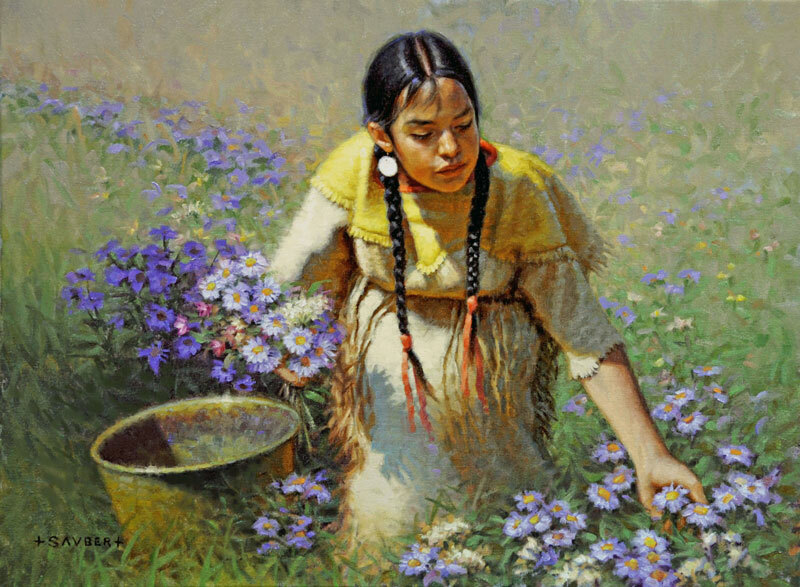 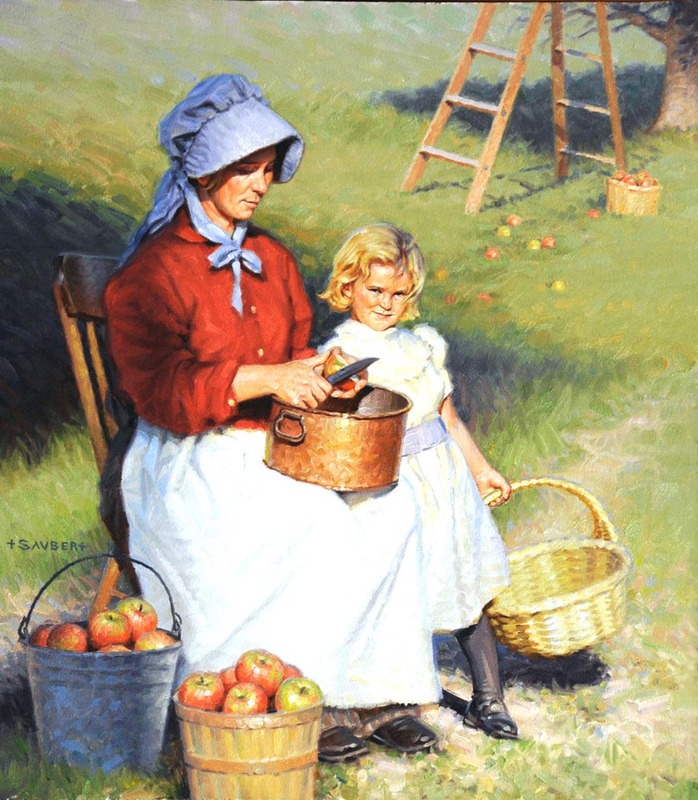 Have fun discovering the beautiful western art that Tom Saubert has to offer. 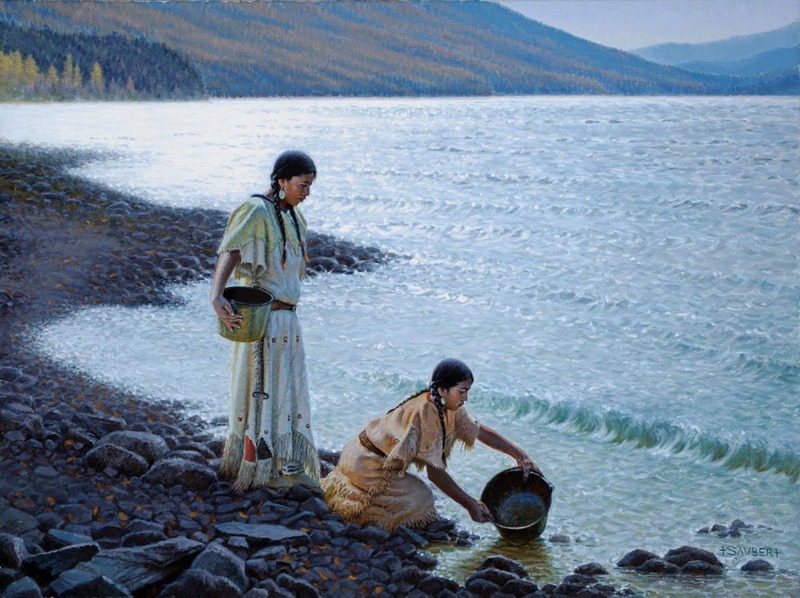 A native Montanan, Tom graduated from the Cleveland Institute of Art in 1973 with a BFA in painting and illustration. 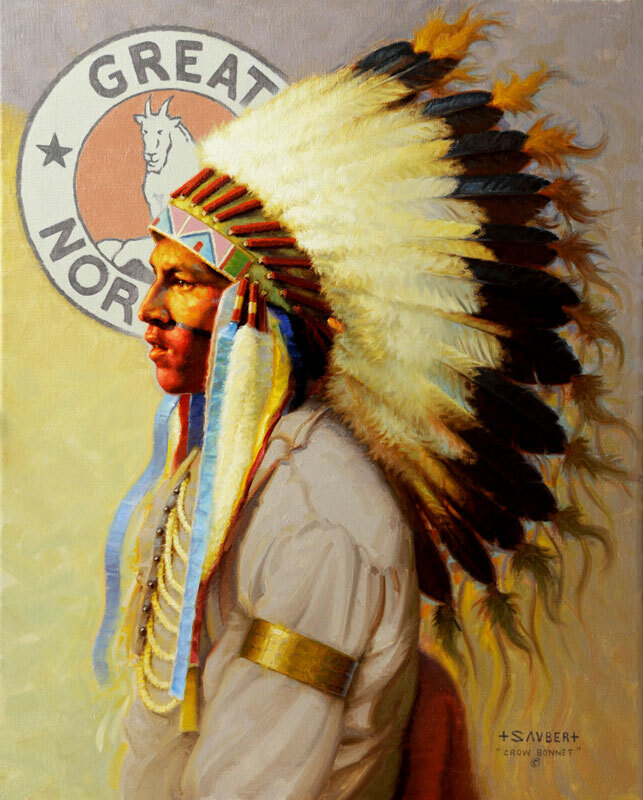 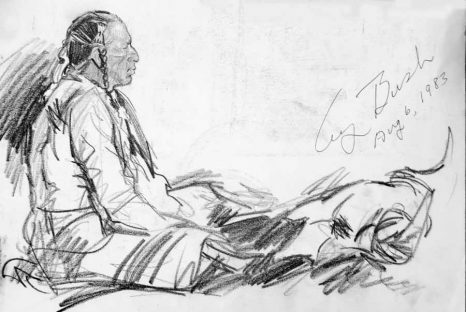 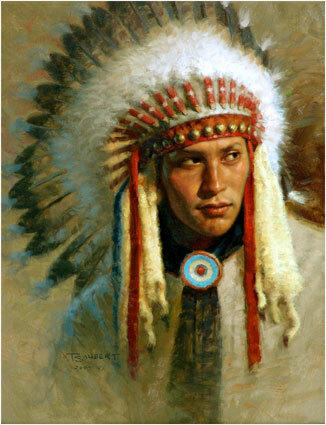 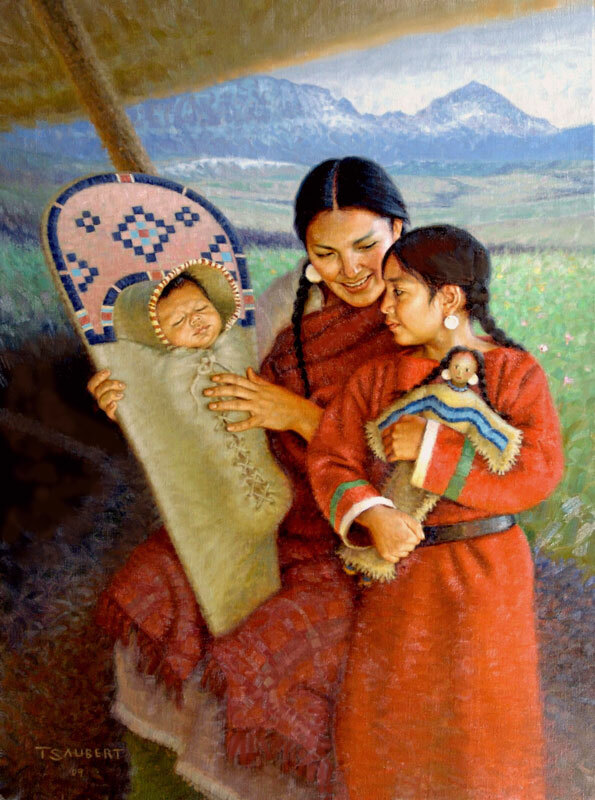 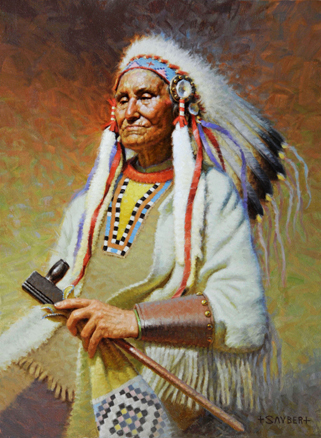 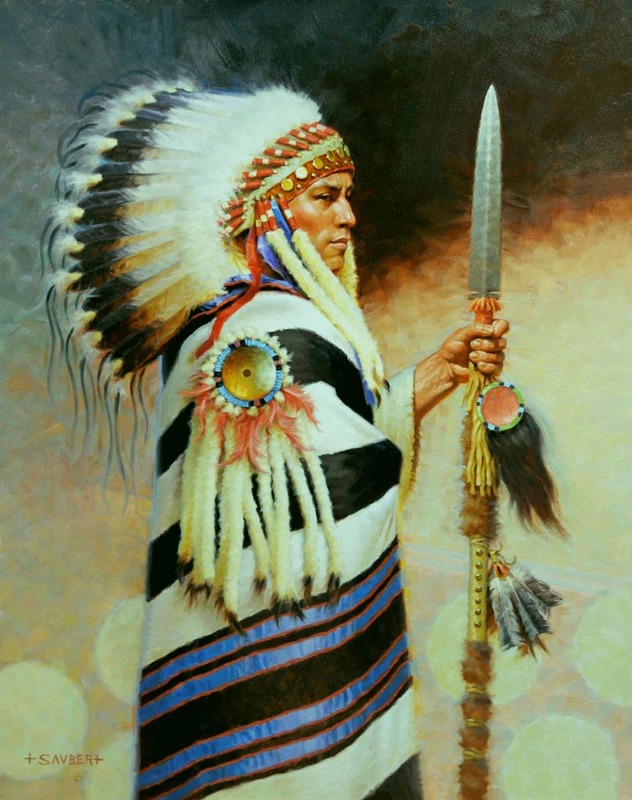 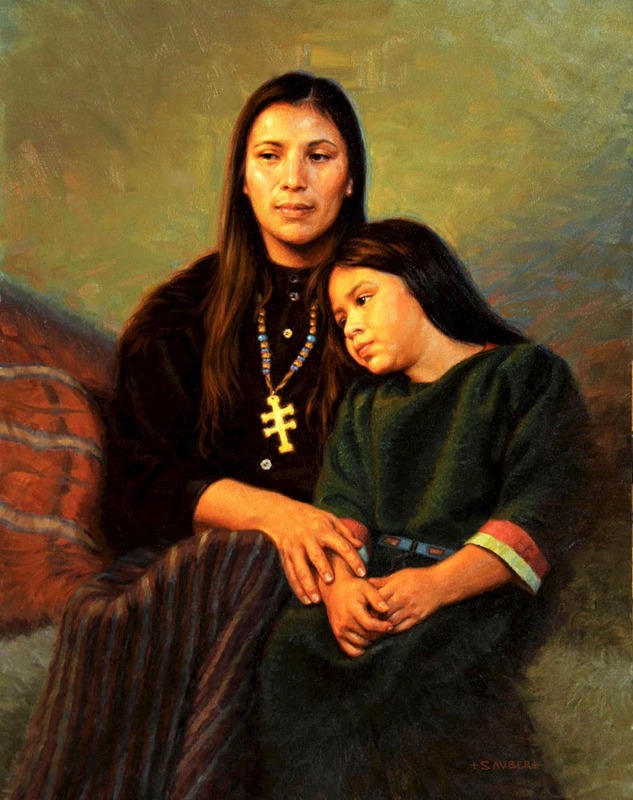 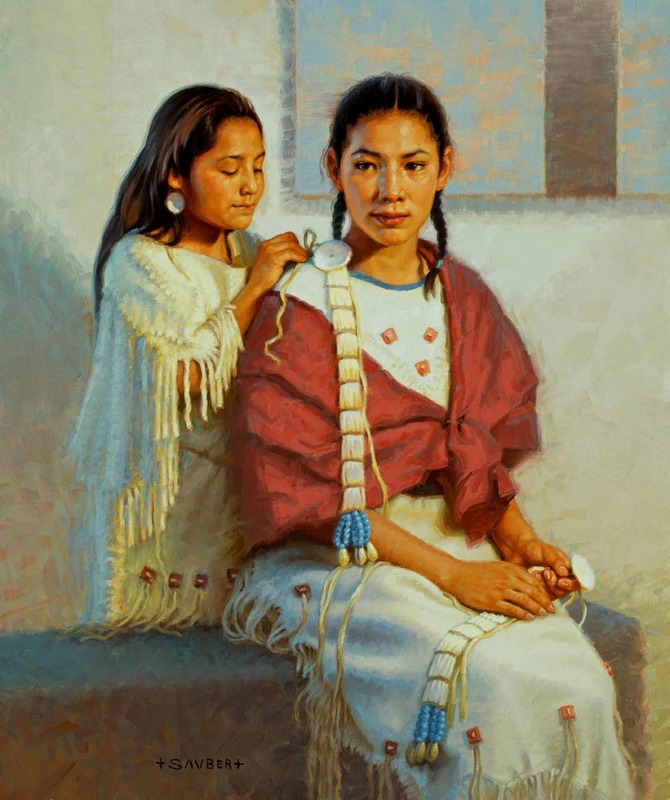 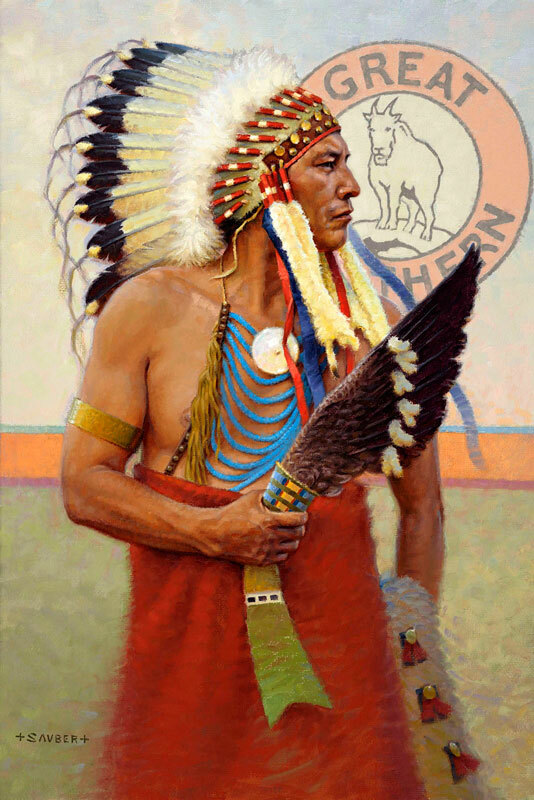 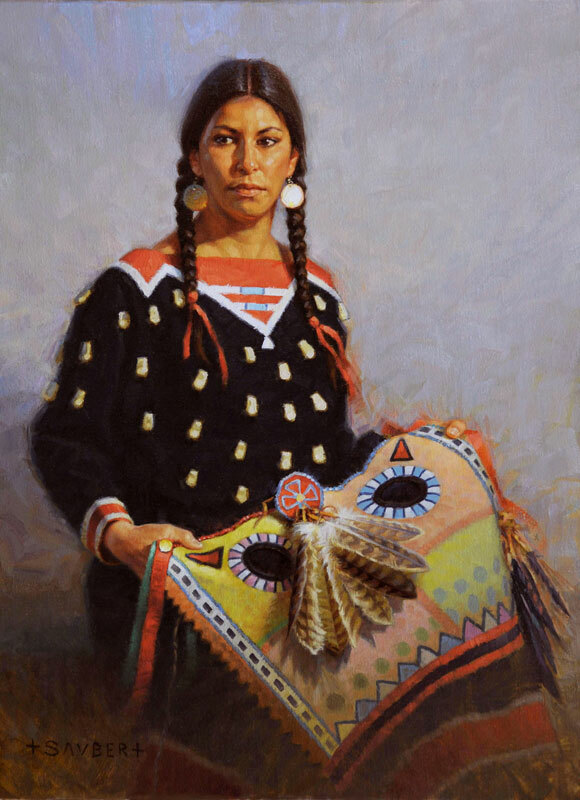 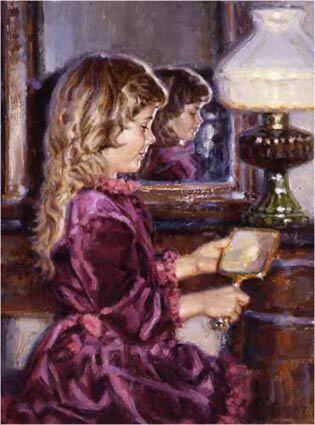 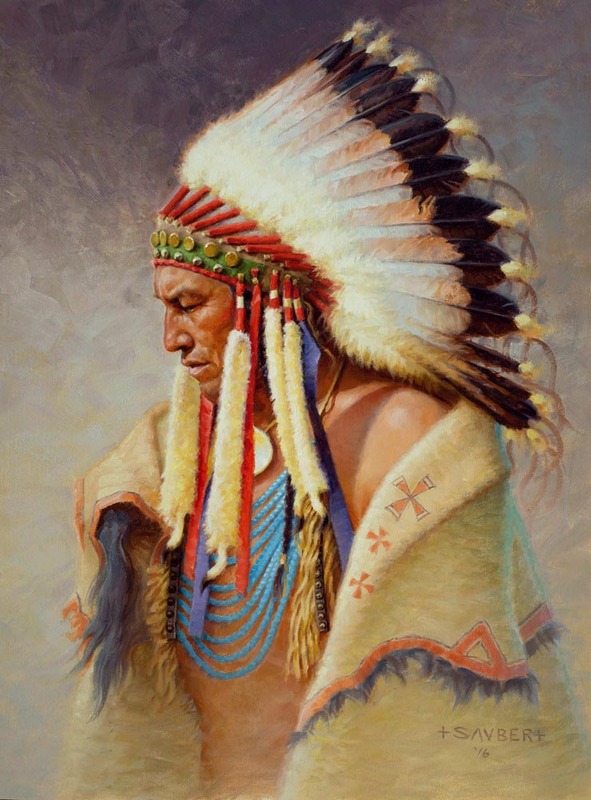 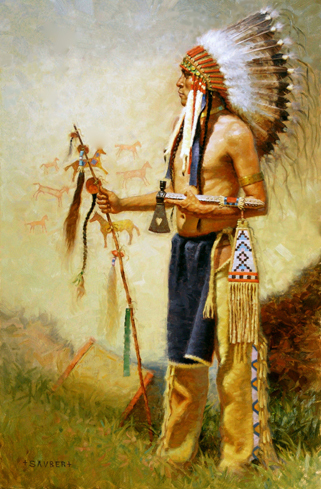 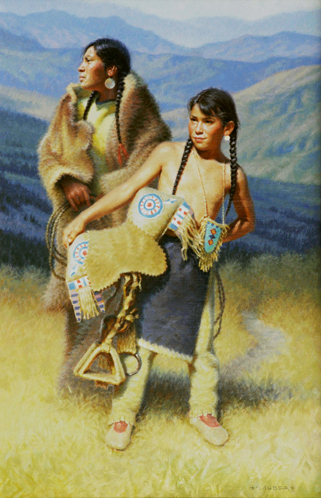 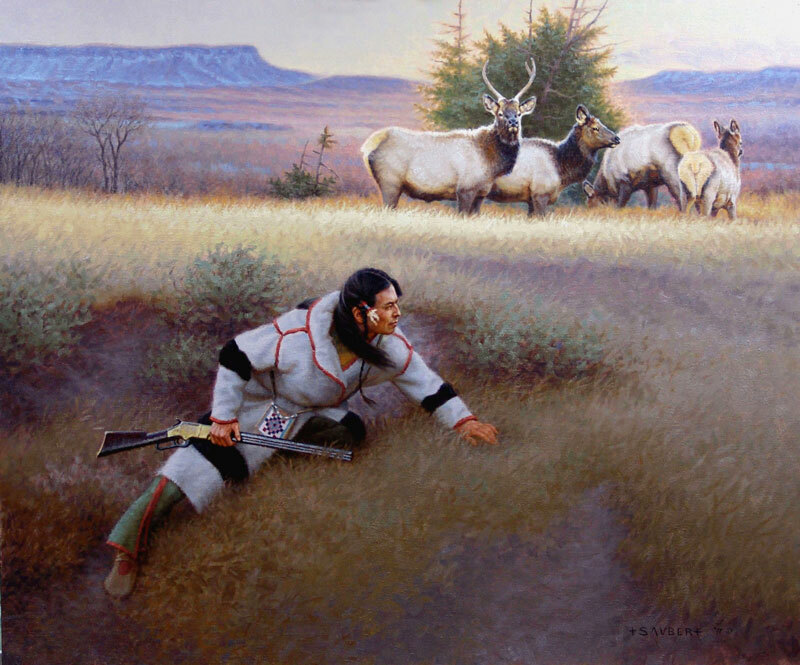 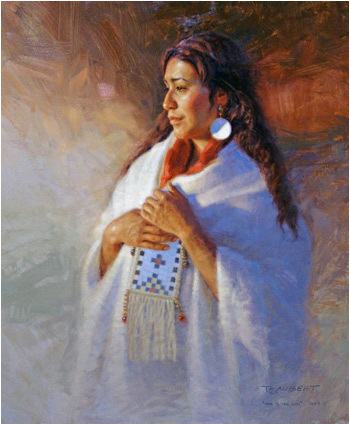 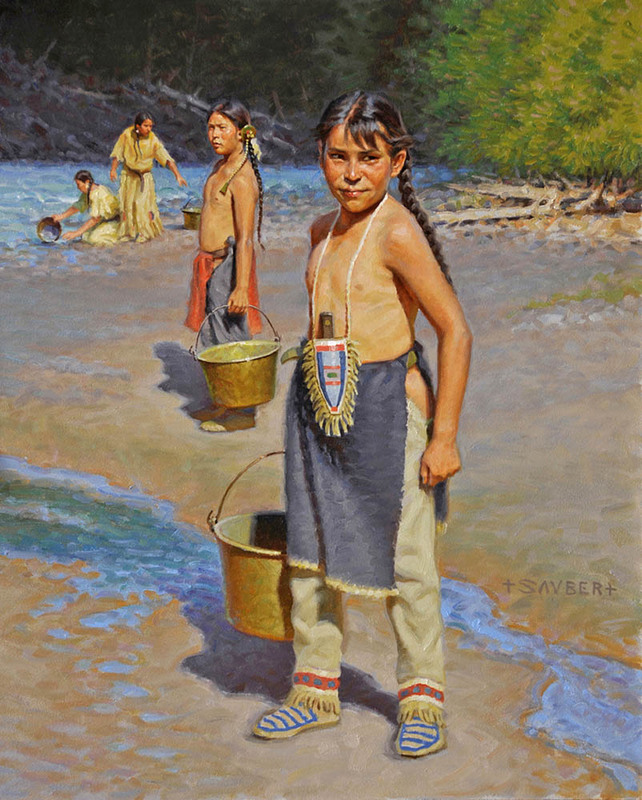 Tom remains a committed western regionalist well known for painting both the historic and contemporary west, especially renditions of the people and culture of the Plains Indians. Tom Saubert is more than an artist – he is a historian, a storyteller, a time machine that transports you to a time and place and people through his accurate, sensitive, and masterful art. 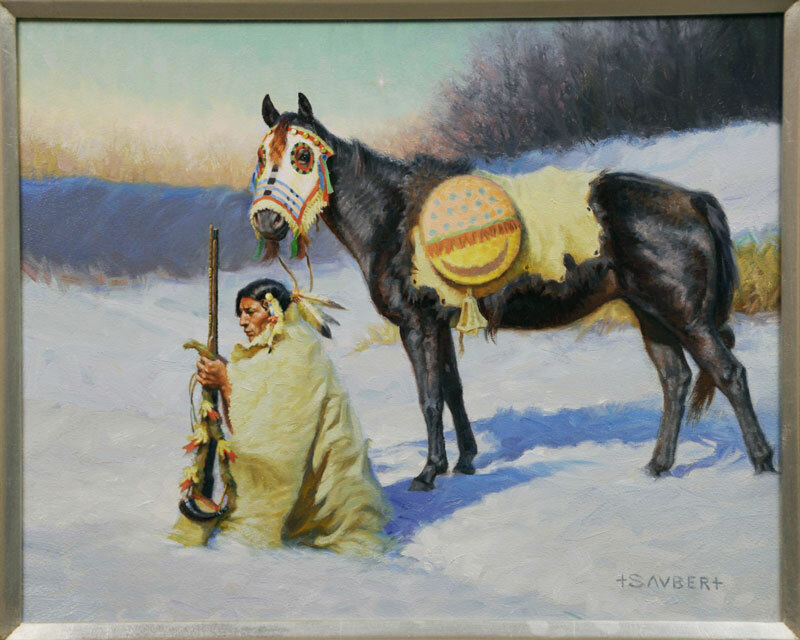 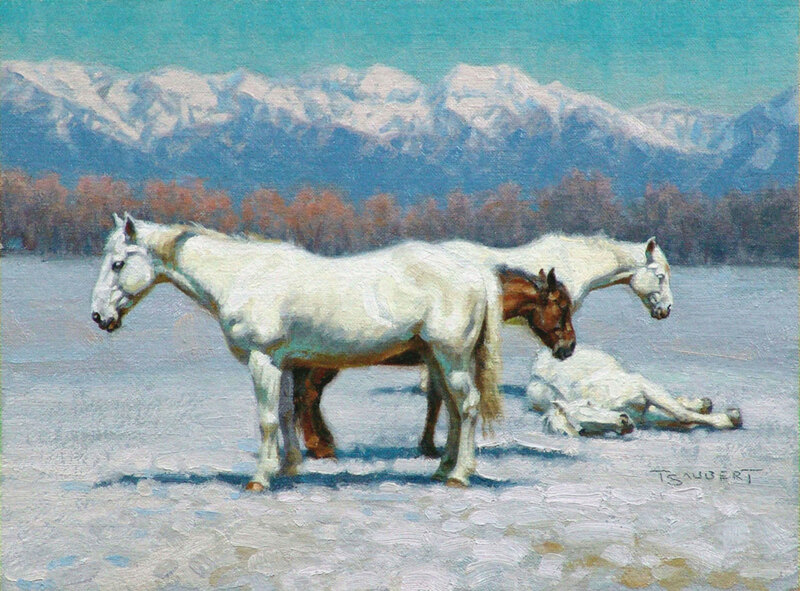 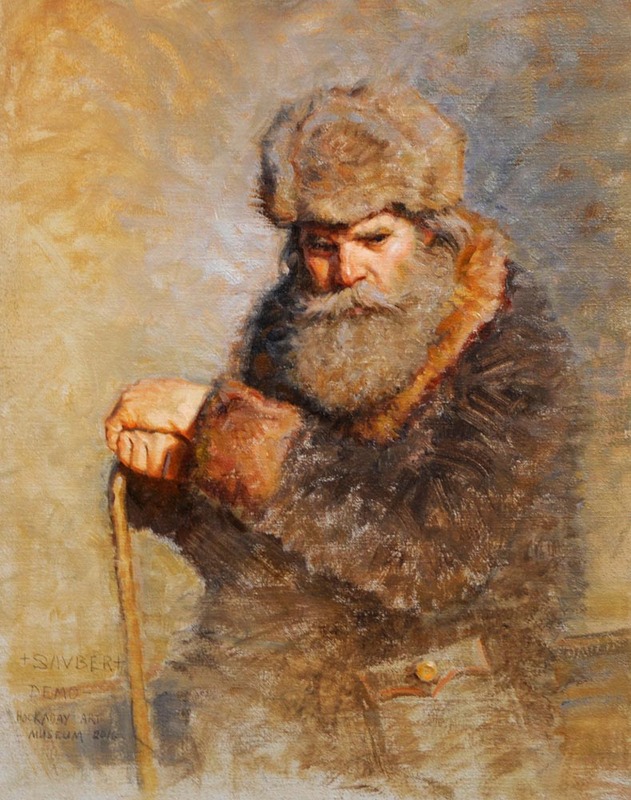 Below you will find several works of art created by Montana artist Tom Saubert. 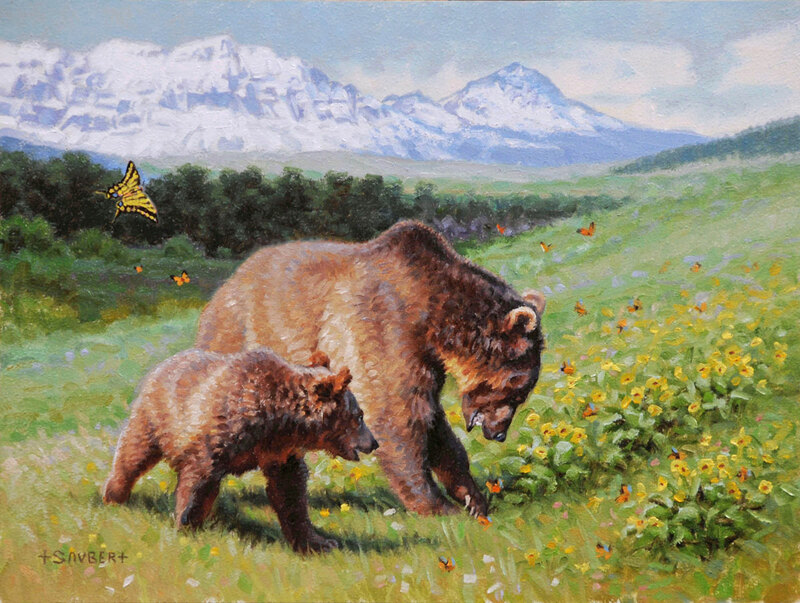 Keep checking back, as new pieces are added frequently. 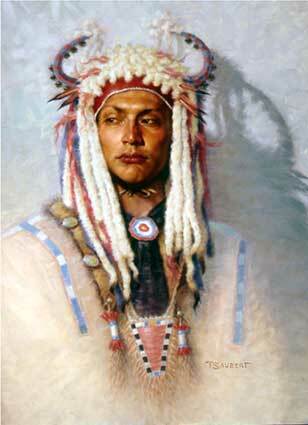 As you will see while browsing the gallery, Tom has a deep commitment to historical accuracy. 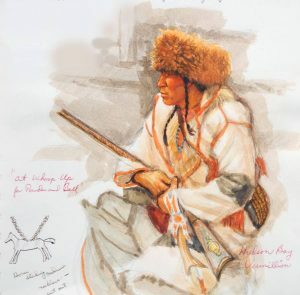 He has spent his life experiencing and studying the rich heritage of the American west, including the people, places, and events that color and shape it. 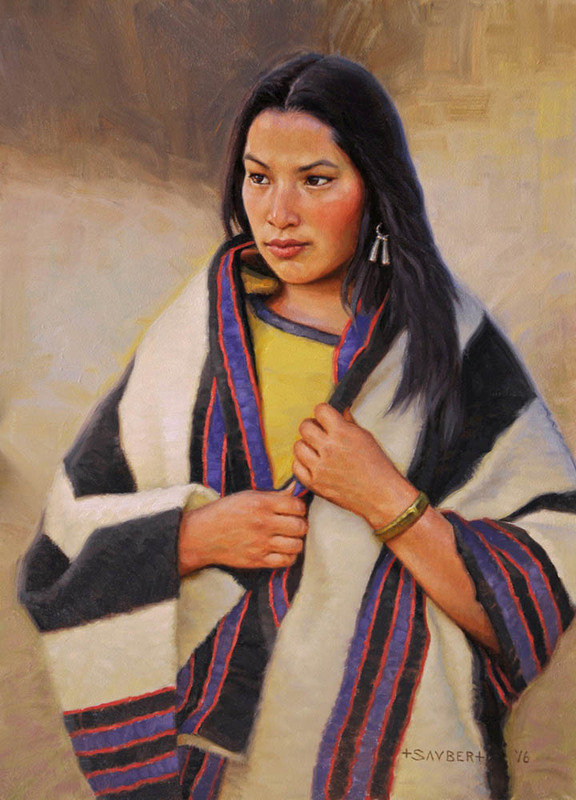 Tom’s painting style gives meaning and truthful expression to his subject matter. If you are interested in learning more about Tom’s pieces, including his contemporary subject matter and American Indian paintings, visit the biography and sketchbook pages. 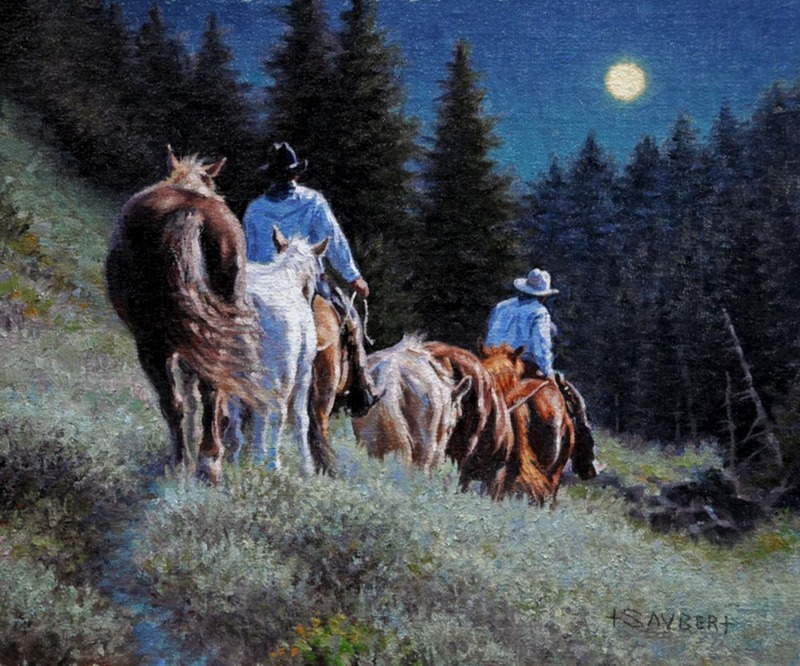 Contact Tom today if you are interested in owning an original piece of Western artwork. 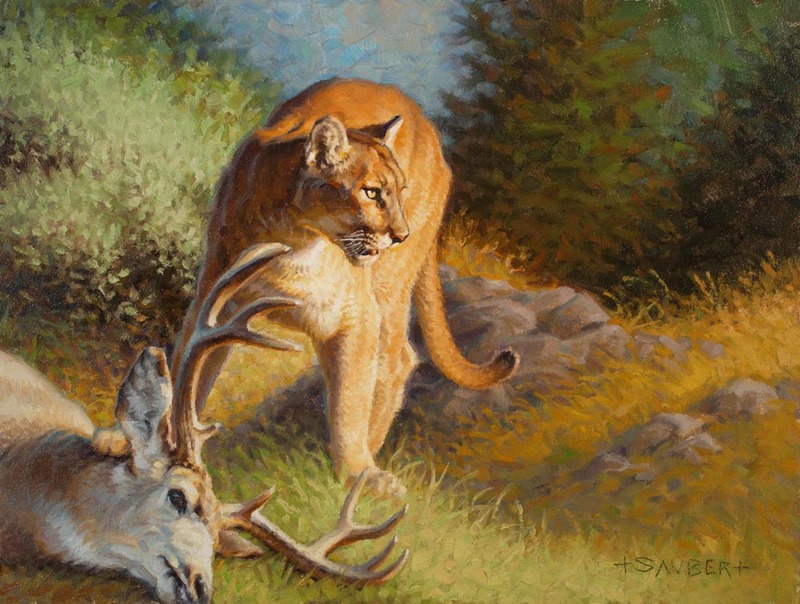 To browse the Gallery, click the thumbnails to view each piece. I would venture to say that I’ve always been fascinated by stories of our history, specifically of the American West and my home State of Montana. 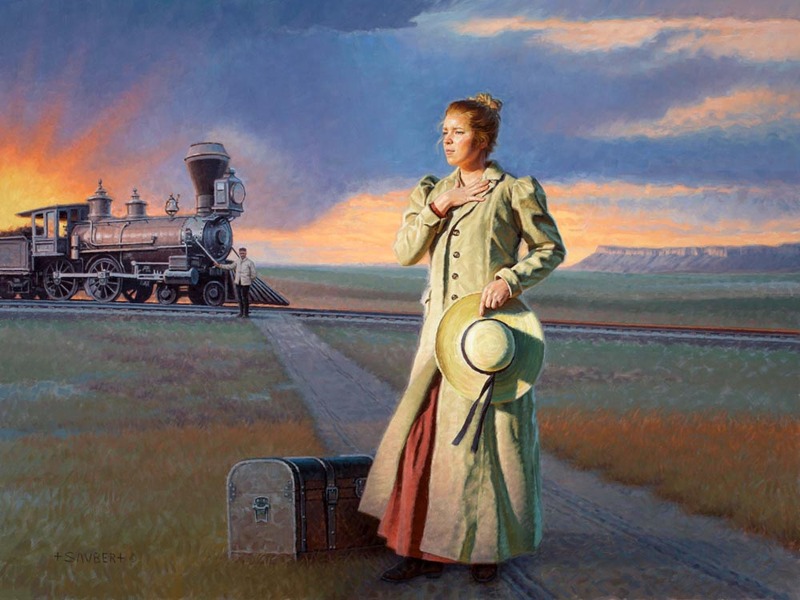 What a wonder it is to walk the old paths of Fort Benton or Union, or ride the ancient Indian trails, or spend time at other historically rich locations. This kind of experience has always created in me a passion for the mythos of the past, as well as a fascination with the contemporary west of today. 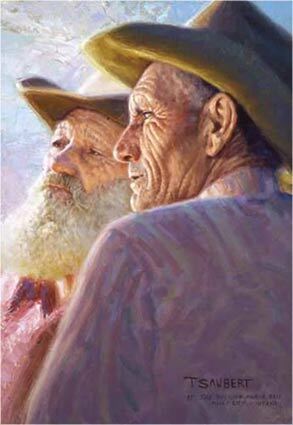 It fills my imagination with stories and images and the intense desire to portray them in paint! 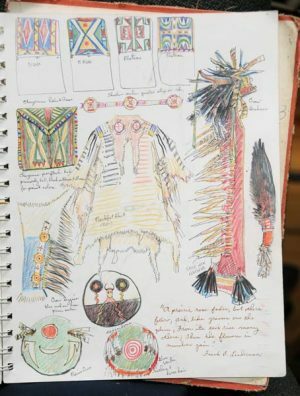 This has led to the creation of sketchbooks that journal and record my experiences. 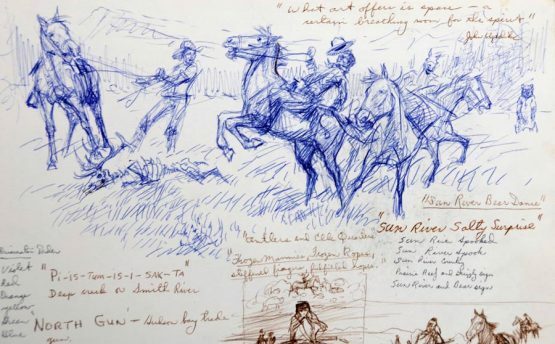 So, throughout the course of my artistic career and especially when on location doing reenactments of historical themes, I have compiled notes and drawings that document these experiences. 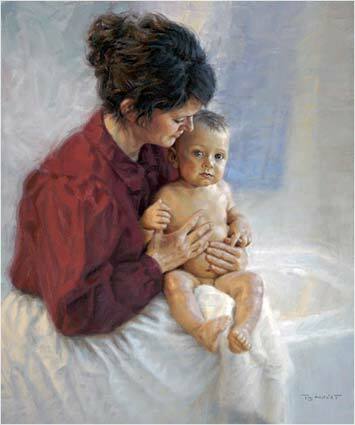 They provide me with a firsthand account of times spent studying and seeing what becomes the birth and development of the finished painting. This has proved vital to my working method for ideas and concept. 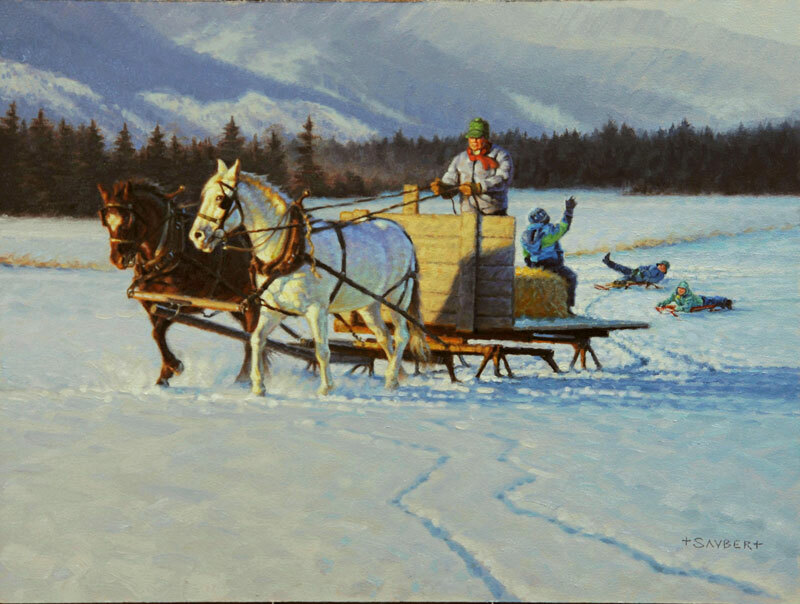 One key aspect of Tom’s work is to create art that is not only beautiful but truthful to the time period. 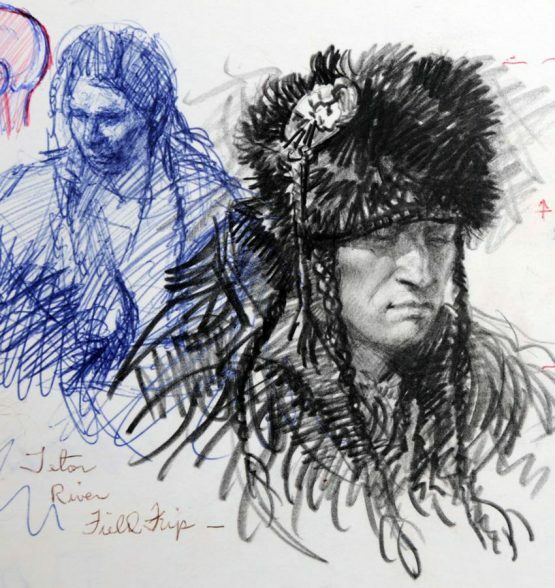 He is intent upon capturing real people and actual moments, often on location, with an artist’s eye and brush. The use of model sessions and sketchbooks are Tom’s method for capturing historically accurate information. 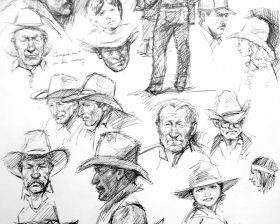 The sketchbooks reveal Tom’s love of working on location to gather wonderful reference and subject matter. We hope you enjoy these glimpses of the artist’s thoughts and renderings. 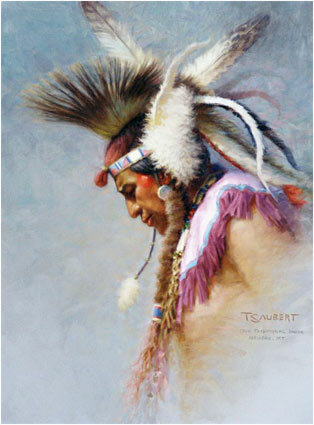 Tom enjoys working with clients who are interested in commissioning a particular piece for their collections. 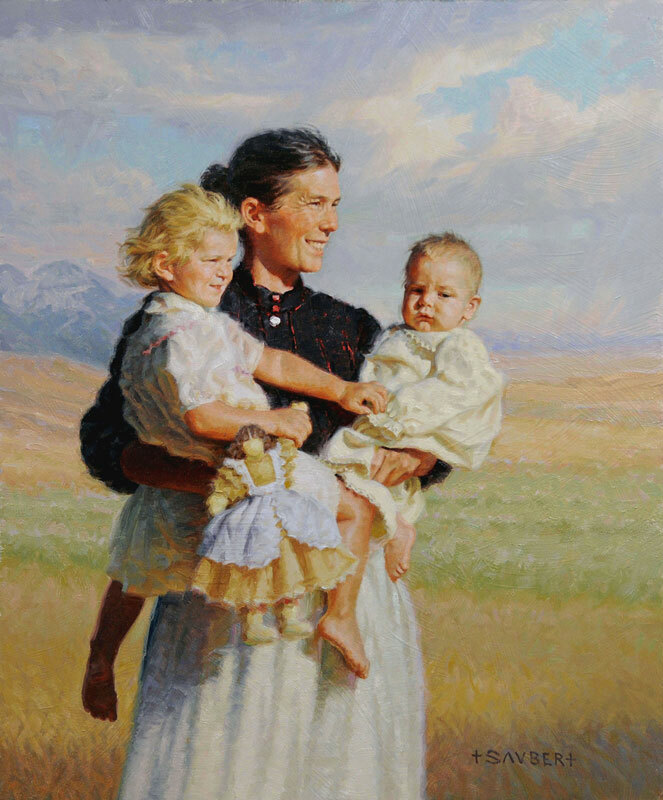 His commissioned work encompasses a wide range of genres, including historical and contemporary subject matter, landscapes and portraiture. 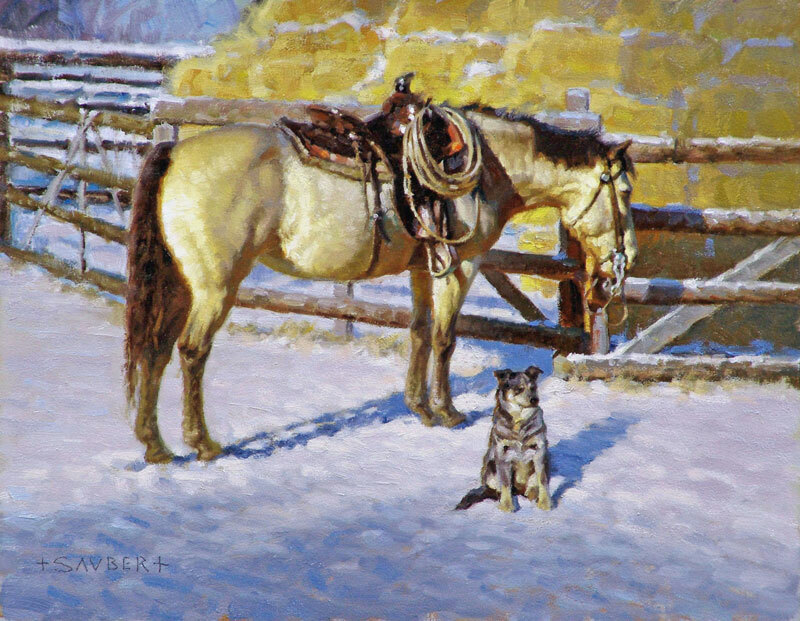 He would be more than happy to discuss a special piece with you.